When it was released in March, Miitomo attracted a lot of attention mainly for being the first ever mobile app from Nintendo. 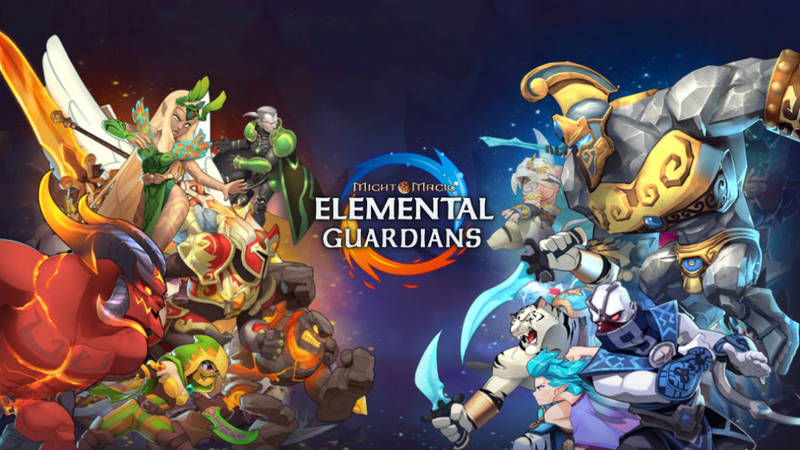 In less than 24 hours after its worldwide launch, it already reached 3 million users, including the 1 million who downloaded the app within three days of its initial launch in Japan. But it seemed to have failed to gain much traction beyond the hype that surrounded its release, and less than half of the people who have downloaded it are said to use it regularly. So Nintendo is only right to update Miitomo with new features and therefore more reasons for existing users to keep using the app and for new users to jump on board. But what is Miitomo anyway? Well, Miitomo is not a straight-up game, much less a port of one of Nintendo’s classic titles. Rather, it’s a freemium social networking app that features Miis, free-form digital avatars first used on Nintendo’s Wii console system. 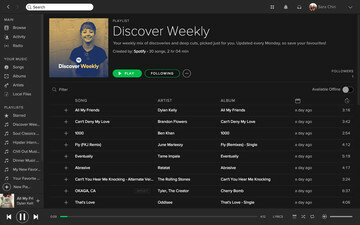 This representation of yourself gives you plenty of customization options. 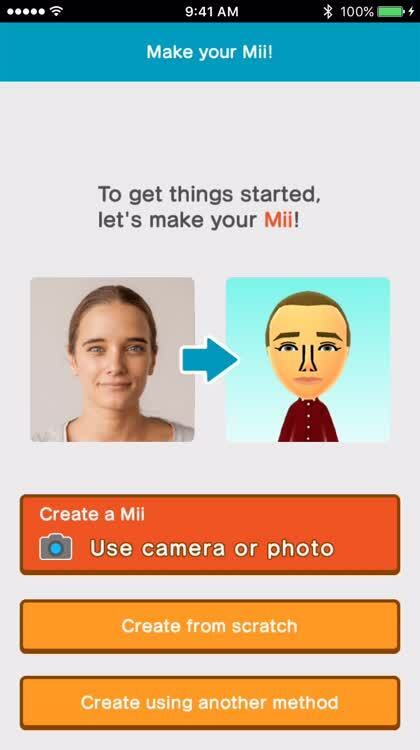 From your face shape and hair style to your body shape and height, you will have fun creating your Mii. You can start from scratch, use an existing photo, or take a shot with the camera. 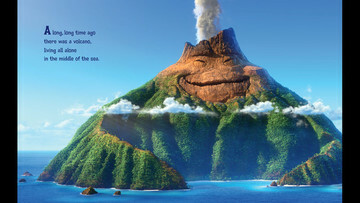 Then, jump into the sound of your voice as well as your mannerisms and personality to create the perfect Mii for you. You earn coins for answering questions that will be saved and shared with your buddies. 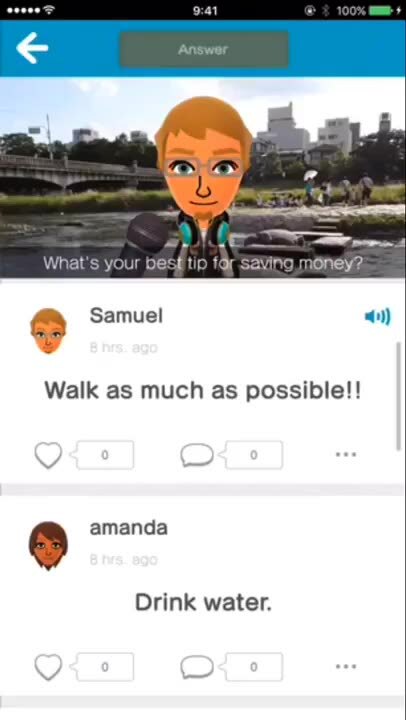 Any time you are ready to answer a question or two, just tap on your Mii. You can then navigate to the My Answers section to check out which friends commented or liked your answers. Take a look at how your pals answered the same questions and share your own answers with a tap. You can jump right in and connect with pals via Facebook or Twitter. You can also become friends with someone who is using the app in the same room. Then it’s time to explore. Head to the shop and use coins to buy some new clothes, shoes, and accessories. 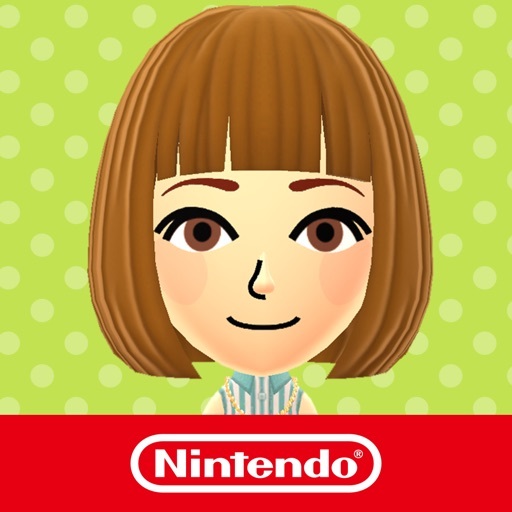 Then check out your closet for a quick change of clothes, customize your greetings, or edit your Mii. As mentioned, Miitomo has just been updated with new features. Through its recently released 2.0 update, the app has gained direct messaging, room customization, and more. 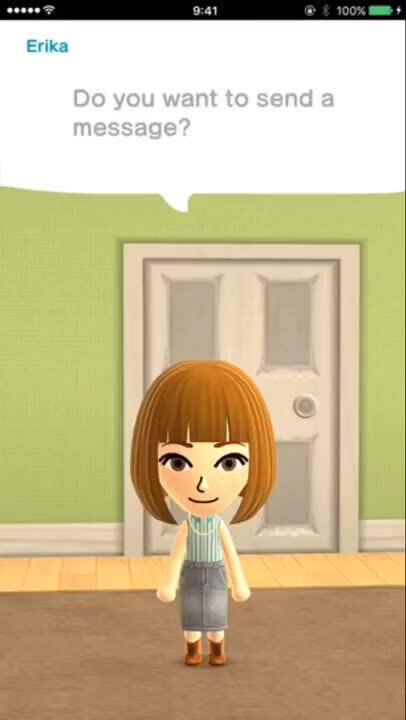 Miitomo has a messaging feature, but with a twist. 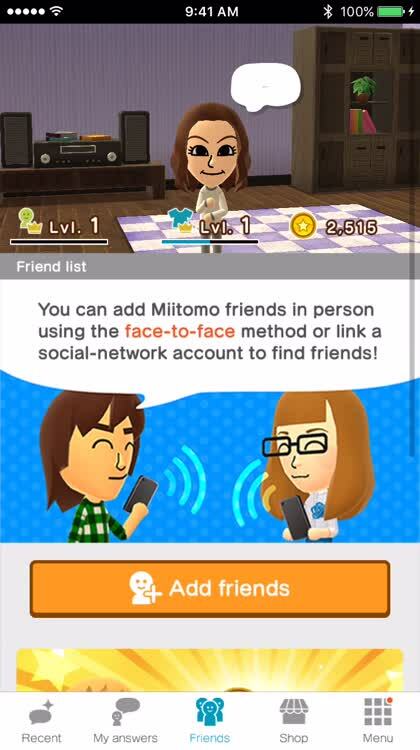 Instead of the usual chat interface, Miitomi lets you exchange direct messages with your friends using Mii characters as virtual messengers. 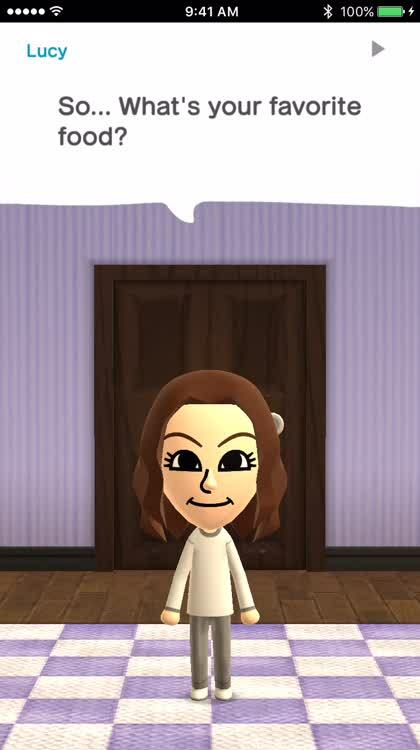 You'll even be able to choose an expression for your Mii character that matches the message you want to send. 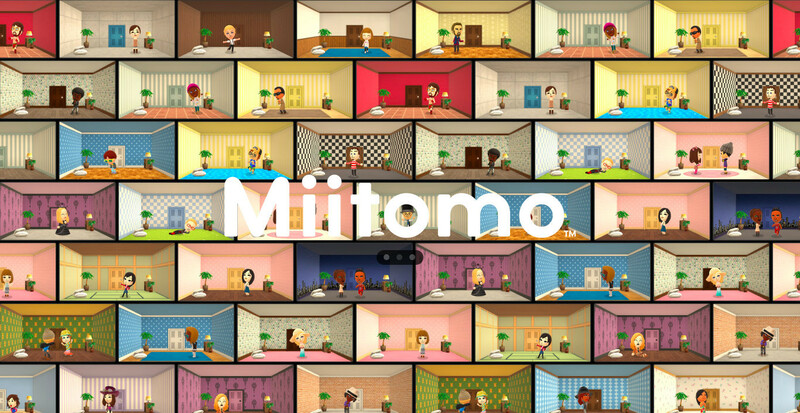 Tap into your inner interior designer by customizing your Mii character's room. 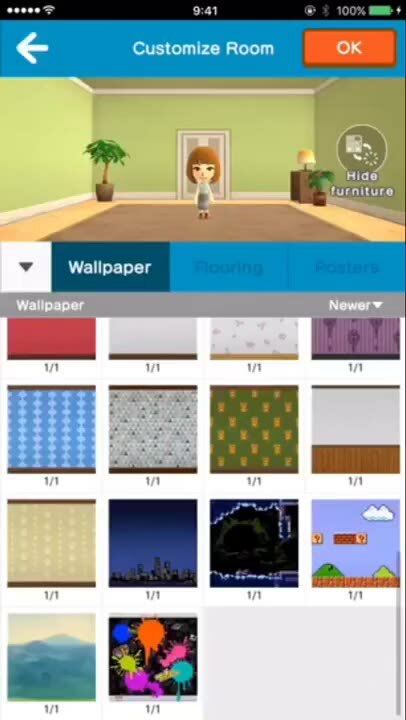 Score special wallpaper and flooring styles, including ones inspired by Mario and The Legend of Zelda, through Miitomo Drop, and create in-app posters out of images from your device's library. 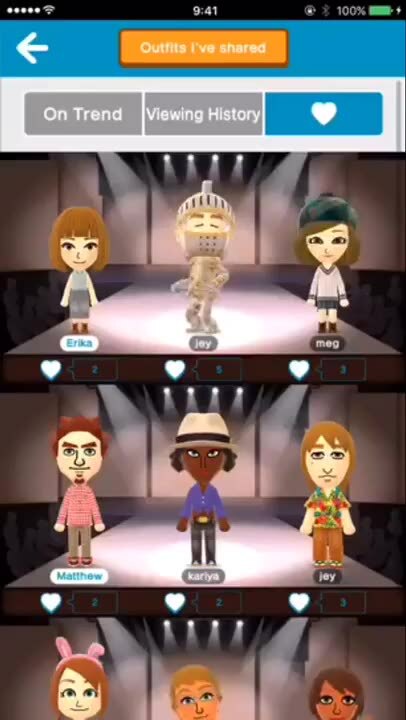 Want to show off your Mii's outfits? Then head on to Style Central, where you can also like and favorite the Mii outfits of other users. Visit Answer Central to answer global questions and check out answers by users from around the world. Be sure to give great answers for those precious hearts and constructive comments. The latest update to Miitomo also lets you create Sidekick Mii characters, whom you can also send as messengers, whose rooms you can also customize, and whose outfits you can also show off. Miitomo 2.0 is available now on the App Store for free. Nintendo’s next mobile title is the highly anticipated Super Mario Run, a platforming game featuring the company’s mascot and most famous character. It’s scheduled for release on iOS in December.